Welcome to Mewar avenue guest house, an ancestral property since period times is now renovated into a luxurious guest house situated on a hill in the middle of the walled city with all the modern amenities. The guest house is surrounded by traditional heritage havelies (mansions) and periodic residential houses. The property is located in the central walled Udaipur city also a proposed heritage walk conserved by the local government. The guest house finds itself in the vicinity of the ethnic cultural street of the old city with bustling traditional bazaar and just a few walks away are the famous tourist landmark of the city like jagdish temple, magnificent city palace, baghore ki haveli and mesmerizing Lake Pichola. The nearest bus stand is 3 kms. Railway station is 4 kms. and the airport is 22 kms. from the guest house. Mewar avenue guest house is equipped with all modern facilities and a grand panoramic rooftop view to make your trip and stay a memorable one. Travel Counter, Room Service, Currency Exchange, Internet/Wi-Fi, Complimentary Newspapers in Lobby, Parking, Front Desk, Banquet Facilities, Recreation, Backup Generator. Smoking Rooms, Bottled Water in Room, H/C Water, Child Care, Daily Room Cleaning, Television Room, Safe Deposit Locker Facility, Air Conditioning Room, Iron/Ironing Board, Complimentary Newspaper. 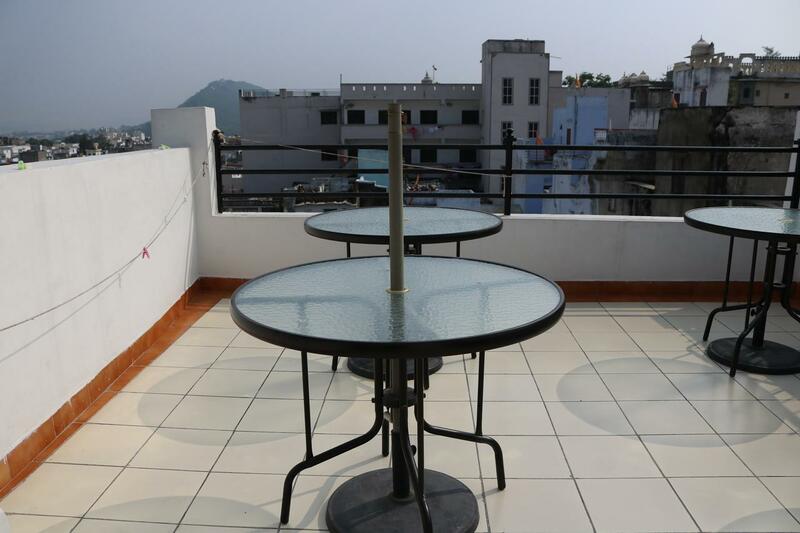 User reviews for "Mewar Avenue Guest House Udaipur"